Delivery is free on orders over £37.50 in total below that there is an additonal charge of £2.95. Prices are per acre, assuming normal seed rate. We supply a range of mixes. 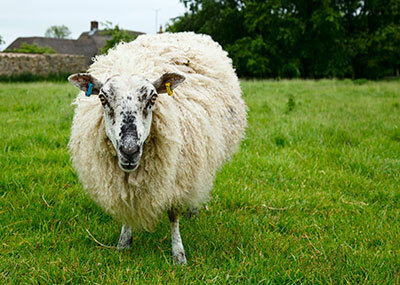 Specialist ones for sheep, goats and hens. The hen run can be bought in acre packs or by the kilo. We also have range of short, medium and long term leys suitable for cattle. Lastly we have an old fashioned cockle park mixture suitable for long term grazing. The pasture grass seed mixtures have been tried and tested over many years across the UK. If you have a special mix that you prefer we welcome the opportunity to quote you a price for that. Provides a dense sward of leafy grass. This is a traditional long term grass ley. Sow a very diverse range of species. Can thrive for several years under hard grazing. Will produce quality cuts for hay and silage. Wide range of species provide a varied diet for goats. This mixture is designed for 2 years of life. It will produce high yields of either hay or silage. This is our standard 3 to 5 year grass ley. Dual purpose grazing as well as conservation. Will produce good yields of silage or hay. We have been supplying pasture and paddock grass seed mixes as a business for over 25 years. the founder of the business started offering advice about pasture mixes nearly 60 years ago! The mixtures have been proven over time and we have constantly updated them to introduce newer better performing varieties. We supply grass seed mixes for goats, sheep, hen runs and cattle. If you need a quote for a specific grass seed mix then contact us with the details. If you would like a grass seed mix designing for your specific circumstances then please let us know.